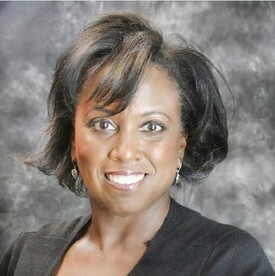 Dr. LaJuan Hall DDS attended the University Of California, San Francisco School of Dentistry where she earned a Doctorate in Dental Surgery in 1994 and graduate certification in Pediatric Dentistry. She has also attended a three-year residency program in Pediatric Dentistry at Children’s Hospital of Northern California. She currently serves as the president of the UCSF Dental Alumni Association. Dr. Hall has been an active member of the Contra Costa Dental Society for over 20 years while serving on the board for much of her tenure. LaJuan is also a member of the American Dental Association, the California Dental Association, the American Academy of Pediatric Dentistry, and the California Society of Pediatric Dentists. Dr Hall has served on the California Dental Association Foundation Board as Treasurer. From 2004 to 2006, sheserved on the California Society of Pediatric Dentists Board of Directors. As a guest member of the California Dental Association Board of Trustees and a Delegate to the American Dental Association, Dr. LaJuan Hall is an active voice in the dental profession. Her strong history of commitment is reflected by honored as a member of the Pierre Fauchard Academy and the American College of Dentist which represents the top 3% of dentist in the country. Most recently, Dr Hall received the UCSF Chancelor's 150th Anniversary Award of Excellence of Service. Throughout her years of practice, Dr Hall has enjoyed may facets of pediatric dentistry and has developed a true passion for helping convert young, fearful children, into happy, comfortable, and cooperative dental patients who love to visit "the Tooth Fairy's Best Friend". Dr. Do, also known as “Dr. Don,” was born and raised in Orange County, California. He received his undergraduate education at the University of California, Irvine earning his Bachelor of Science’s degree in Biology. He later went on to receive his Doctorate Degree in Dental Surgery at New York University in New York City and served as president of the Student Chapter of the American Academy Pediatric Dentistry. At NYU, Dr. Don was the recipient of the Certificate of Merit AAPD Pre-doctoral Student Award. Realizing his passion for providing for pediatric health, Dr. Don continued his education at NOVA Southeastern University in conjunction with Broward General and Joe DiMaggio Hospital in Florida. At NOVA, Dr. Don received his Pediatric Dental Certificate and his Master of Science by completing research in the field of cleft palate repair with stem cells. Throughout the course of his studies, he has also been very involved in community and international outreaches taking him to underserved areas of NY, Florida, Honduras, Grenada, and Jamaica to provide dental treatment and, most importantly, dental education. Dr. Don and his wife Katie enjoy watching Food Network and UFC. Dr. Don particularly enjoys cooking foods with gadgets to smoke, sous vide, and sear. With his background as a second degree black belt in Tae Kwon Do, he is a mixed martial arts fan and fitness. 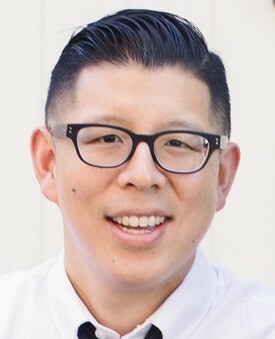 Dr. Allan Pang was born in Canada and raised in the San Francisco Bay Area. He earned his undergraduate degree in Biochemistry- Cell Biology and Business from the University of California, San Diego. While at UCSD, he developed and implemented a free dental clinic that provided dental treatment to the underserved. This desire to help the underserved lead to his acceptance at Tufts University School of Dental Medicine in Boston, Massachusetts. At Tufts, Dr. Pang received honors and awards for helping develop an inner-city free dental clinic for at-risk homeless youth and children through the Albert Schweitzer Fellowship. After dental school, Dr. Pang completed his General Practice Residency at UCLA-Veteran Affairs Hosptial in Los Angeles. 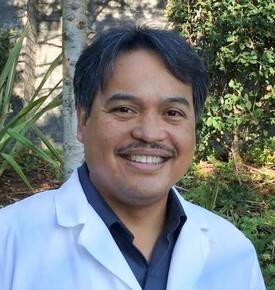 During his three years practicing as a general dentist in the Silicon Valley, Dr. Pang realized how much he enjoyed working with his pediatric patients and returned to specialize in Pediatric Dentistry. His residency in Pediatric Dentistry at New York University (NYU)-Bellevue Hospital allowed for him to have extensive training in treating special needs patients. He also had the opportunity to provide comprehensive care for children with craniofacial disorders and learned the nasoalveolar molding technique for cleft lip and palate patients at the renowned NYU Langone Medical Center Institute of Reconstructive Plastic Surgery. Dr. Pang has a passion for working with special needs children and after residency took a position as a pediatric dentist at Oakland Children's Hospital. His philosophy is to build rapport with his patients and their parents by providing an environment that will allay any fears that the child may have while at the same time being transparent of the risks, benefits, and the alternatives in regards to treatment. Dr. Pang’s favorite past time is hanging out with his wife, Sandra and daughter, Madelyn at different parks in the Bay Area. They can also be found munching on some baked goods at bakeries in San Francisco. Dr. Sipin, our Teen and Adult Dentist, he comes from the Air Force Family. He attended the Central Escolar University in Manalo, the Philippines, was his dental school class president and also served in the military garnishing awards for his service. The Air Force Achievement medal twice and the Air Force commendation medal were given for meritorious and dedicated service to the United States Air Force Dental Corps. Dr. Sipin believes that past dental history is important but not as important as the "NOW." He will explain your treatment plan and what options are available to address your immediate needs and personal wants. Dr. Sipin enjoys vinyl records, mountain biking, basketball, Miata track days, and fitness. He also enjoys spending time with his three teenagers. They have 2 pet dogs, which include a Maltese and a Golden Doodle. Dr. Sipin believes in a quote from a famous MD: "The secret to patient care is caring for the patient." 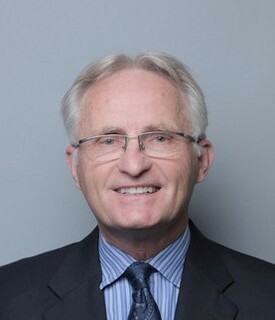 Dr. Michael Schneider received his undergraduate education at the University of California, Irvine. He completed a Bachelor of Science with a major in Psychobiology. 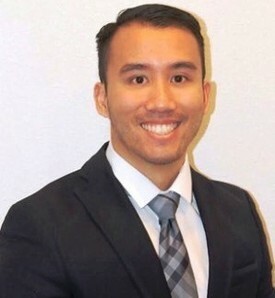 He then attended graduate school at California State University, Fullerton where he received a Bachelor of Arts Degree in Psychology prior to entering dental school. Dr. Schneider then went on to complete his Doctorate of Dental Surgery in 1980 at the Georgetown University School of Dentistry. Dr. Schneider practiced dentistry in private practice in Manhattan Beach, CA for 30 years before moving to Brentwood in 2010. He has considerable experience in dentistry with expertise in implant and reconstructive dentistry. His passion for dentistry has taken from studying medical hypnotherapy to sports dentistry to dental public policy. Dr. Schneider is a Trustee of the California Dental Association and serves in their Finance Committee. He is a member of several dental honorary organizations, including the American College of Dentists, the International College of Dentists, and the Pierre Fauchard Academy. His hobbies including farming, mountain biking, and trail running/hiking.